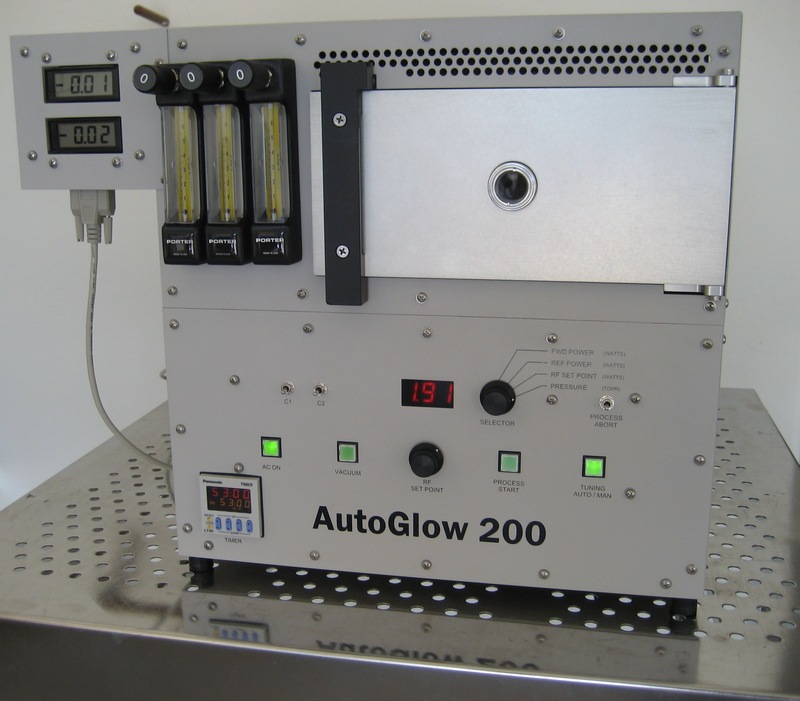 The Glow Research Optical sensor (with numeric display) system is commonly used to determine when the etching process is complete…and then manually terminate the plasma process. Such endpoint detection does not require that the specific emitting species be identified, only that the spectral feature change intensity when the etch has reached the interface between the film and substrate. Typically, a 483nm or 520nm filter (CO line) is used for detecting the endpoint when etching oxides on silicon…due to the reduced spectral background in this region. Endpoint detection is required because the etch rate can increase at endpoint–because the exposed area decreases to a minimum while the etchant concentration approaches a maximum. Terminating the etch promptly at this endpoint reduces undercutting of the etch mask, thus reducing damage to the device being built. “fingerprint” the plasma system under normal conditions for comparisons to the standard. 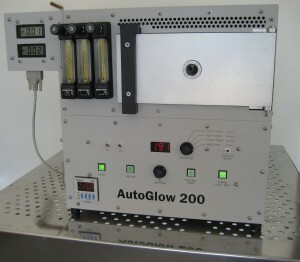 rapid screening for air leaks, high moisture content or contamination.